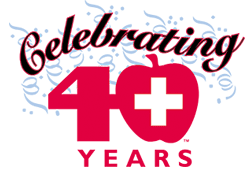 Apple Valley Medical Center Blog Happy Anniversary to Us! Create a relationship with each patient and the community itself, based on integrity, involvement and communication. Apple Valley Medical Clinic: Family medicine physicians provide preventive care and treat illnesses for all members of the family. This clinic offers same-day appointments and is fully staffed with physicians from 8:00 a.m. to 8:00 p.m. Monday through Friday. 24-Hour Urgent Care: In addition to being open 24 hours a day, 365 days a year, our Urgent Care always has a physician on site, which makes this Urgent Care Center unique. In addition, patients have access to lab and x-ray services at all times, even at 4:00 in the morning. Occupational Health Services: Occupational Health Services helps employers prevent and reduce worker injuries. For more information on Occupational Health Services at the Apple Valley Medical Center, call 952-997-9310. Sleep Center: The Sleep Center offers a complete range of services to help individuals get a good night’s sleep, from education and assessment to diagnosis and comprehensive follow up. The Sleep Center is open by appointment from 8 p.m. to 6 a.m. Monday through Friday. For more information, call 952-953-9206. United Specialty Center: The second floor of the Apple Valley Medical Center is home to the United Specialty Center, with more than 30 board-certified specialists providing care in allergy and asthma; ankle and foot; cardiology; colon and rectal surgery; dermatology; ear, nose and throat; general surgery; low back & neck care; neurology; ob/gyn; ophthalmology; orthopedics; podiatry, spinal orthopedics and urology. United Medical Imaging Center: The United Medical Imaging Center offers patients the latest technology in digital mammography, ultrasound, CT scans and MRI. Courage Kenny Sports & Physical Therapy: This facility offers sports and orthopedic physical therapy, hand therapy, lymphedema therapy, pelvic pain and incontinence therapy, a RunSMART program with video analysis, TMJ therapy, vestibular therapy, workplace health and rehabilitation, and an AlterG® Anti-Gravity Treadmill. Apple Valley Pharmacy: A full-service pharmacy makes it convenient for patients to fill prescriptions while visiting the center.